The “Rut” refers to the time period each Fall when deer breeding occurs. 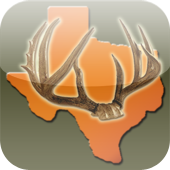 To hunters, the Rut signifies the time when there is an observed increase in buck activity. There is some debate as to what triggers the Rut, and while there is some geographical variance in the timing, most experts agree that the Rut occurs during the same time frame for most of North America. To maximize your hunting success during the Rut, it is imperative that you understand what is occur biologically within the heard at any given point in time. The Rut can be be broken down into several phases: Pre-Rut, Early Rut, Full Rut, Post Rut, Second Rut, etc. Different calls are more effective during different parts of the Rut. Deer Tactics provides you with the general dates and description of each phase along with tips & tactics on which call to use. Pre-Rut: Prior to the Rut, the biological drive for all deer centers around feeding. Does are in a pre-breeding state and congregate in family groups. Bucks form bachelor groups and intermingle with does at food sources. Towards the end of this phase, testosterone levels in bucks begin to rise and they begin exhibiting rutting behavior. Early Rut: As the Early Rut begins and the first does begin their estrus (breeding) cycle, bucks become more territorial and break off from their bachelor groups. Bucks seem to become more reckless in their behavior and can be seen moving more during the day as the Rut swings into full gear. Full Rut: The Full Rut coincides with the time when the majority of the does come into estrus. Deer movement occurs during all hours of the day. Bucks increase their home range in search of receptive does, traveling their rub lines and frequenting their scrapes. This is an exciting time to be in the field. Post Rut: As the Full Rut fades to the Post Rut, the majority of the breeding activity is concluded and bucks seem to disappear from view. The increased daylight activity seen during the Rut diminishes and frustrated hunters may only catch a glimpse of the dominant buck the last minutes of twilight. Second Rut: A ‘second’ Rut occurs 26 days after the initial Rut when any remaining unbred does come into estrus for a second time. This 2nd Rut provides a brief window when buck activity increases late in the season. Many of the same tactics and calls that worked during the initial rut will work again during this phase. Late Season: Following the Second Rut, breeding activity dwindles and tired bucks seek refuge in dense cover. All deer activity revolves around solunar feeding periods. Don’t count this phase out though, as there are still tactics to help you bag that last-minute buck. my name is tim and i’ve been putting doe urine out since the first of september, before this i’ve i did’nt have any signs in my spot. before this now i i have 7rubs on the trees and 4 scrapes. i can’t beleave this but this is so cool. i think he is just cunfused. i love it! i have several rubs where i am hunting,but when do you know they are in the rut,and what time of fall do they usually start the rut.do you put doe urine close to rubs or away.i have lots of buck movement during night,thats pictures from camera,it is a full moon right now,so is it better to hunt at night or morning,would appreciate your feedback. I used Deer Tactics for my bow hunt this year. The snort-wheeze brought in a dominant buck that I had not ever seen on the property. It is the largest buck I have ever harvested with a bow. Thanks Deer Tactics.